Windows Central columnist Jason L. Ward presents unique big picture analysis of complex topics in tech. 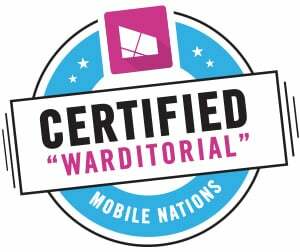 Check this page often for his latest editorials, or "Warditorials," in which Ward offers clarity and insight on timely topics and regularly takes on Microsoft critics with a healthy dose of perspective. Microsoft's cross-platform cloud strategy and open source development strategy democratizes tech, while its Autism Hiring Program is democratizing empathy. Microsoft's Your Phone app strives to keep your phone in your pocket. Microsoft's Augmented Reality headset, HoloLens, is headed to the battlefield to make U.S. troops more efficient. And not everyone is happy. Black History Month is over. Here's how Microsoft highlighted the contributions of African Americans. Was it enough? Folding phones are getting a lot of attention but Microsoft's HoloLens progress is moving holographic computing closer to the masses. Do we share too much about ourselves with Microsoft and others? We share a lot of personal information in the name of convenience, but at what price? As Microsoft struggles to maintain its personal computing relevance its Surface and HoloLens creators may be its secret weapons. Microsoft failed with smartphones but is still pursuing mobile in three distinct areas. Microsoft is committed to consumers. Just not in the way you may think. HoloLen creator Alex Kipman famously stated "smartphones are dead." An appearance of HoloLens 2 at Mobile World Congress may be the beginning of the smartphones end. Microsoft's Surface and NFL partnership shows the power of Surface on the field and off, in the personal lives of many of its top players. We've been hearing a lot about edge computing in recent years. But what exactly is it and why does it matter to you. Columnist Jason Ward explains. Microsoft has been pontificating about 'edge computing' for years, and for many consumers that word meant nothing. But at CES 2019, Microsoft and its partners made edge computing a little more tangible for the masses. Microsoft's and grocery chain Kroger's pilot collaboration is merging the traditional and digital shopping experience in interesting ways that may be setting the tone for the future. Microsoft has been aggressively driving accessibility in products and services through its inclusive-design mission. And 2019 may be the year inclusive design goes mainstream.